A Boston based LGBT group has called on Prime Minister of Ireland Enda Kenny to support negotiations with the organisers of the second largest Saint Patrick's Day parade in the United States. A strong statement of support from the Prime Minister would not only help the LGBT community but help our allies in politics who have supported us during the process. In 2010, the United States Congress repealed the discriminatory "Don't Ask, Don't Tell" policy, finally allowing lesbian, gay and bisexual service members to serve this country openly and with pride. We sought only to march with integrity behind the colors that represent our multi-faceted identities as veterans, LGBT people and, for some of us, as Irish-Americans. The PM has already been drawn into the issue of LGBT exclusion from New York's Saint Patrick's Day Parade on Monday, saying his participation is "about our Irishness, not sexuality." New York City Mayor Bill de Blasio, who will meet with Kenny on that day, has stated he will not participate in the event. Boston Beer Company (Sam Adams) is also boycotting the event in Boston. 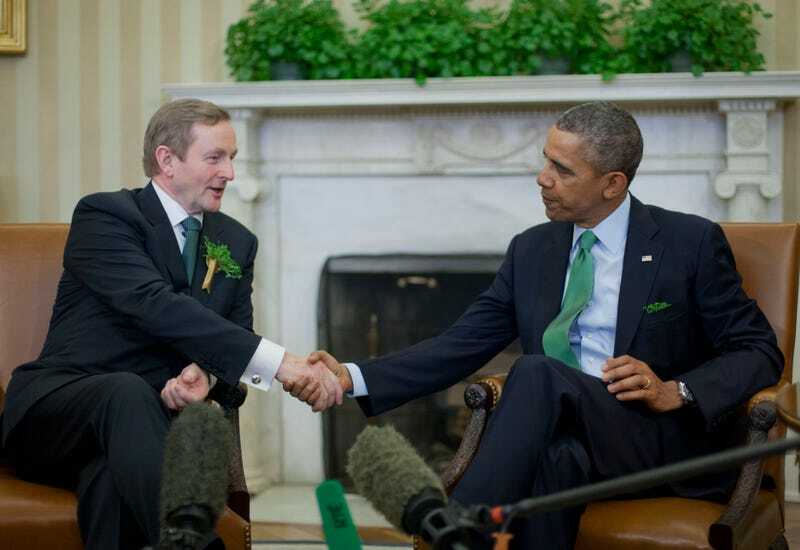 Editor's note: In the Irish language (Gaeilge) and English, Kenny's title is Taoiseach, which means "chief." Prime Minister is used here for ease of understanding only. Sláinte!